The turmoil around this industry, prompted me to get to grips with the facts of the matter, but I could find no substantive material on the subject. There is a lot of animal rights propaganda available on the internet, and the written media is full of ‘interpretations of the facts’ written by journalists with animal rightist tendencies. But I could find no ‘raw facts’ that told the “truth” about CLB. By the end of May this year, therefore, I was still none the wiser. But, then, out of the blue, I was given the opportunity to investigate the CLB Industry myself. It gave me the chance, using my own experienced wildlife management eyes and brain, to interpret what I myself saw and experienced. And I uncovered the truth. Those of you who want the supporting facts to these, my honest opinions, will have to wait for the publication of my report. Please note the publication date is not available yet – you will receive your copy as soon as this report is released. I am so grateful someone has finally discovered the truth and is able to present the real facts. I cannot wait to receive this report. The whole issue of CBL and the animal rightists’ campaign of ‘bred for the bullet’ has shattered ethical and sustainable hunting and its positive conservation outcomes. By this campaign, animal rightists have succeeded in rendering the hunting industry and its conservation dividends feeble, on teetering legs in the public eye. Thank you so much for your time spent, efforts and dedication in finally unveiling the truth. I dont support or like canned killing , its not hunting . However i support sustainable farming , although farming lions is also not conservation . So its neither hunting nor is it conservation . Its farming and its home is in agriculture. I certainly, like 99% of people, dont know the recent facts so my opinion is a emmotional one versus intelectual one. Having been exposed to past acts , the issues are : misleading clients and people in general about the status of the hunt (lion is wild ) , releasing just prior to shooting , lies about the rehabilitation of lion into the wild. Lies about orgin of lion and its wilding status. I think it will go a long way if those involvef wete more truthfull and honest but its about promoting the practice for economic incentives. Profit is not evil but smoke screens to make it are. We try to tell the truth in everything that we do. The truth, however, of often NOT what people want to hear. People of this era often choose to ignore facts. They’d rather believe the lie than confront an inconvenient truth. But fact remains fact. Believing the lie never alters reality. But living in a post-truth society, it unfortunately becomes increasingly difficult to make the truth count. 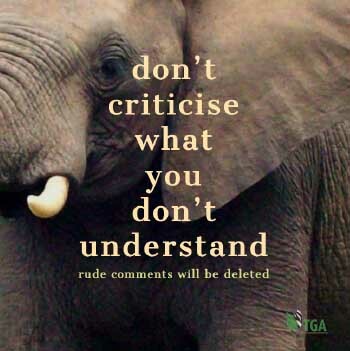 For me as an individual and dedicated (meat) hunter it is important to know what is going on ; I found out in facebook out of pure chance that chasa and phasa had been expulsed from the largest hunting organization – certainly in europe -the CIC because they apparently supported the CBL policy and agreed with the hunting rules of SAPA; I pay fees to my local hunting club that is affiliated to chasa ; for example sa jagters have denounced from the word go the practice of cbl’s and the hunting of cbl’s ; chasa on the contrary appears to be on the wrong side of CIC it seems …. ; but wrt me as a member of a local club affiliated to chasa ,I still dont know who gave chasa the mandate to back the practice of cbl’s and their hunting rules ( of SAPA) ; I did request chasa the answer and got a lengthy explanation that in a nut shell said all affiliated members did not oppose chasa change of policy (which led to CIC to kick chasa (and phasa) out of their membership list !. Like you I was, from the very beginning, affronted by the idea of captive-bred lions being hunted. But, unlike you, I tried to find out more about it before I nailed my colours to the mast. 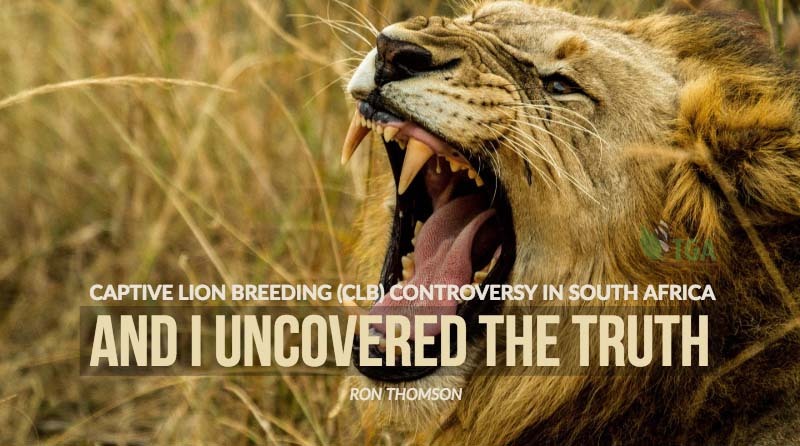 In June – in a “SEARCH FOR THE TRUTH” Inspection – Elma Britz (another TGA Director) and I carried out a tour of the Captive Breeding of Lions Industry (CBL). It lasted the whole month of June 2018 and covered the Free State; North West and Limpopo Provinces. And we discovered a truth that we did not expect. And it is NOT “all about hunting”. My report on the survey is a huge undertaking – and it won’t be “out” soon, but I shall be issuing a shortened version by the end of August. May I suggest that you be prudent and wait to read what we have had to say before you go off at a tangent. The TGA stands for “the TRUTH”. We have absolutely no axe to grind over the CBL Industry – one way or the other. So we have told “THE TRUTH” as we see it. Unfortunately, in this day and age, “The TRUTH” is not always what the people want to hear. It seems, however, that you have already made up your mind.